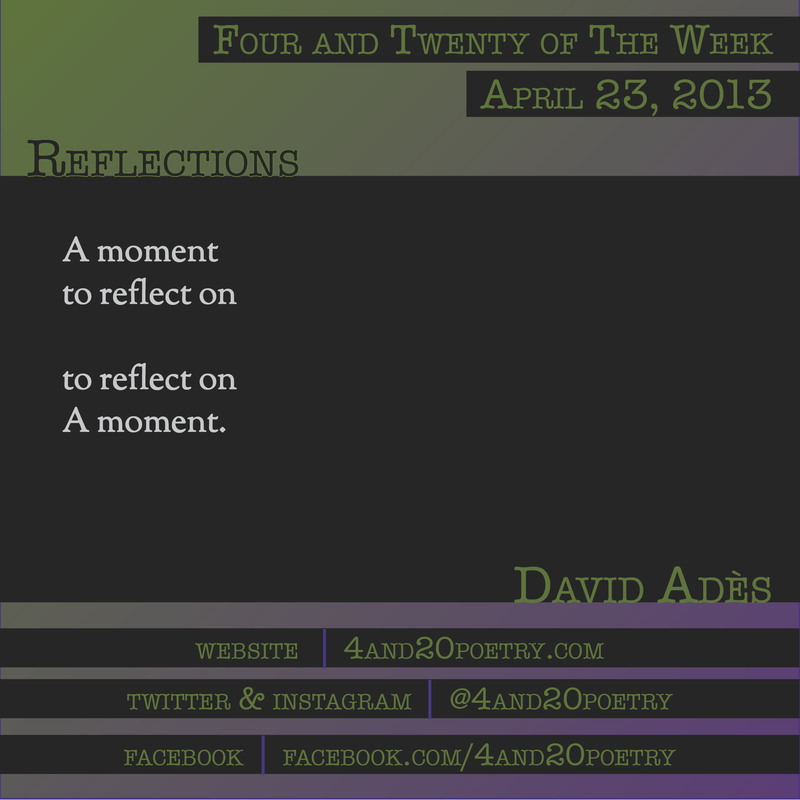 David Adès is an Australian poet currently living in Pittsburgh. His poems have appeared widely and are forthcoming in Australian and more recently in American literary publications. This entry was posted on Tuesday, April 23rd, 2013 at 1:06 pm and is filed under Four and Twenty of the Week, Micro Poetry, Poetry. You can follow any responses to this entry through the RSS 2.0 feed. Both comments and pings are currently closed.